Designed for street 260-289-302 c.i.d. Ford V8s without EGR. This intake manifold is for 289 and 302 V8s with OEM 4V carb. ; 1966-72 (1973 non-CA); except stock equipped EGR. Will not fit Boss 302 or 255 c.i.d. V8s. Aftermarket 4-bbl carburetors are not compatible with Ford Automatic Overdrive Transmission (AOD) unless used with Lokar bracket p/n 625-SRK-4000. Carb Pad Height: 4.12'' Click here to determine carburetor pad height. 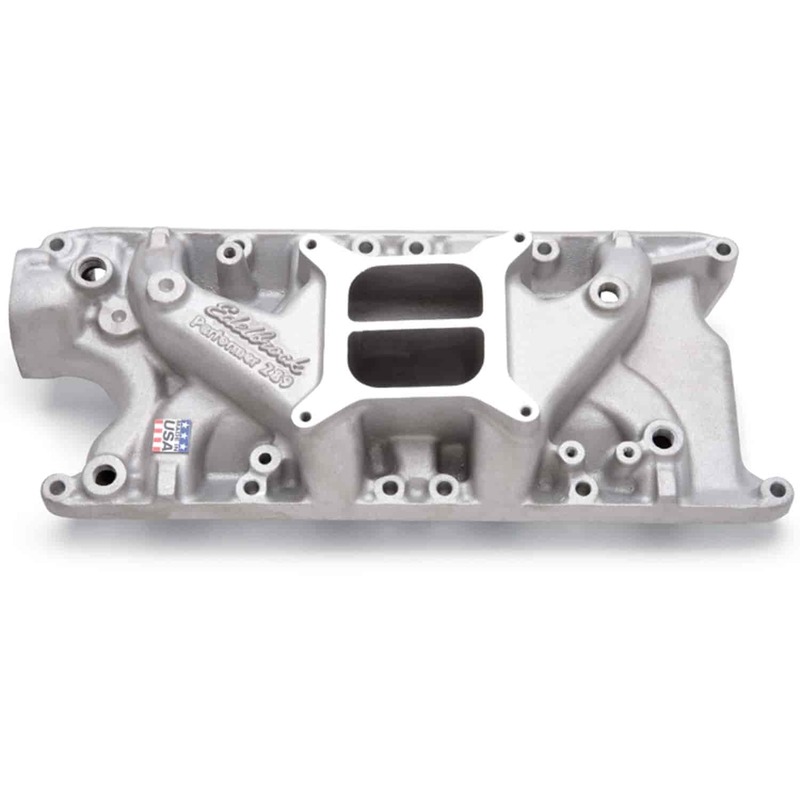 Does Edelbrock 2121 fit your vehicle? 2121 is rated 5.0 out of 5 by 2. Rated 5 out of 5 by Wolfie from Happy happy happy I don't have a lot of drive time on it yet but I'm very happy with the great looks and the performance on my stock 302. Is there a way to increase the top end RPM using this manifold? Not really, you can use a spacer to change the RPM range of when the maximum torque will be. Will this fit a 1983 302 block with gt40 heads? Yes, this would work on your engine.